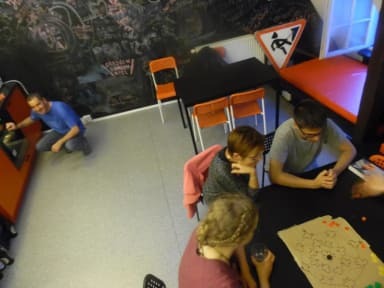 Hostelgate i Vilnius, Litauen : Boka nu! My friend and I had an amazing stay at Hostelgate! This hostel has an excellent location in the old town area. We found our rooms to be very clean and the bathrooms were of better hostel standard. Common area and kitchen are spacious with a good atmosphere. The easy-going staff was lovely and dedicated for us and other travellers to have the best time during our stay. We truly enjoyed their arrangements for partying, relaxing and exploring. Thanks for having us, can't wait until the next visit! Overall a good hostel with a great value for money. Great location. Friendly and helpful staff. 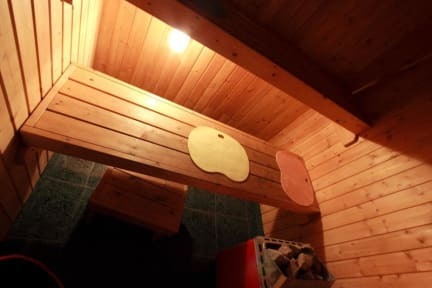 Well equipped kitchen and cozy hangout-area. The only negative: There was an awful smell coming from the bathrooms/toilets, and they weren't particularly clean. Decent hostel and lovely staff!